The HPF650 combines the best features of our FPS-1000 in one contemporary, lightweight design, making it essential for on-wall or recessed/in-furniture applications. With 30-degrees of built-in swivel, the HPF650 ensures your guests will always be able to find the perfect viewing angle. 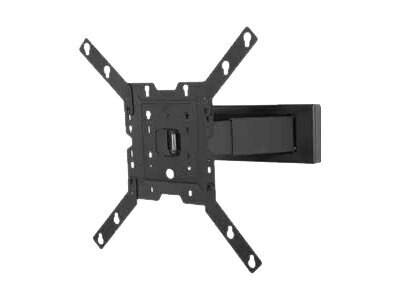 This mount is VESA compliant, and accommodates virtually any flat panel display up to 60lb. Equipped with functionality, maximum aesthetics, versatile installation and endless display compatibility options, the HPF650 is the ideal solution for any hospitality or residential application.